Change your location. Change your life. Like a pose, some trips are better with repetition. Join us for Roni Brissette Yoga’s 2nd trip to Val d’Orcia. Daily Iyengar yoga practice, Tuscany's most beautiful villages, and Brunello aplenty. Namaste, indeed. A special trip in celebration of 20 years of Roni Brissette Yoga. Daily Iyengar yoga practice, exploration of some of Tuscany's most beautiful villages, and Brunello aplenty. Namaste, indeed. Turin's chocolate and coffee make it a food lover's paradise, and Slow Food's Salone del Gusto is the Garden of Eden. Then on to Lake Como, where pastel villas contrast jewel-toned water and mountain slopes. Every yogi knows the importance of the heel. But what about the heel of Italy's boot? Puglia. This retreat blends yoga, culture, food and wine in one of Italy’s most beautiful regions. Madrid. Elegant, exciting and completely on its own timetable. Re-set your watch to experience world-class culinary, art and life-loving ways. 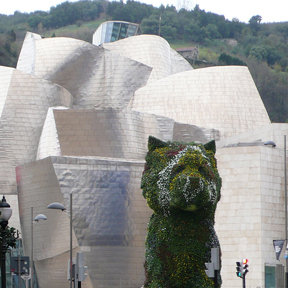 Then, the mystery and delights of Basque Country await. Linda loved Basilicata before she even saw it--her grandfather was born there. She yearns to share the warmth and simplicity of Southern Italy, where food and history are the backbone of everyday life. A welcoming, wonderful community that spans the two decades of Roni's teaching, and then some. Join us as we explore our boundaries on and off the mat in Italy in 2019. See you there. With our partner, LatinArtSpace, we'll explore all the best that Old Havana has to offer: art, music, architecture, emerging privately-owned dining options (paladares). Did I mention rum tastings and cigars? Book-ending the best of harvest time in Italy. Olives become olive oil, grapes become wine, and truffles become dinner. And lunch. All explored from a historic but working baglio, and a feudal lord's castello. A special trip in celebration of 20 years of Roni Brissette Yoga. We'll practice yoga daily with Roni, we'll relax at our heated infinity pool overlooking a stunning valley, we'll explore the surrounding vineyards and ancient hilltop towns, we'll walk the beautiful countryside. We'll talk, we'll laugh, and if the mood strikes, we'll sing. We'll enjoy incredible gourmet meals prepared by our own private chef with the freshest local ingredients, and the wines that made the region famous. It promises to be an epic week. Double occupancy. This trip can host up to 8 couples. Single supplement available at extra charge. The mysteries and charms of Puglia are becoming well known quickly. Puglia's theme: color. In some villages everything is white. The white beehive shaped trulli of Alberobello. Ancient white limestone pavement in Lecce. White sand beaches in Polignano al Mare. And the "white city", Ostuni. Add color in the form of vibrant black and green olive groves, jewel-toned red and green vineyards, and a cerulean blue sea, and there is something for every palate--or pallette. Basilicata’s capital city, Matera, our home for these few days, is a UNESCO World Heritage Site. And it’s not hard to see why. This very typical Basilicatan territory known as the Lucano, is an ancient district of southern Italy whose heritage dates to the fifth century BC. The town and the area are full of cave dwellings (many restored to modern standards). There is charm and mystery around every corner. As a child in the 60's, Jonathan recalls standing on the balcony of his family's apartment, watching then dictator Francisco Franco's military parades along Madrid's Gran Via. Five decades later, the city continues to enthrall 24 hours a day, with a non-stop pace that rivals that of go-go Barcelona. A tapas cooking lesson, sangria and flamenco dancing. Regardless of where you've been and what you've seen, the independent spirit of Spanish and French Basque Country will satisfy the wanderlust of even the most experienced traveler. Boasting a language, culture and cuisine all its own, Basque territorial fervor rewards visitors at every turn. 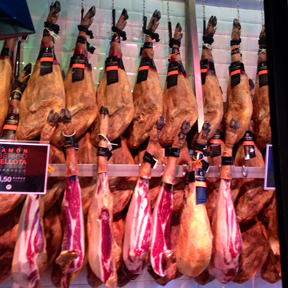 In fact, the cuisine is some of the most influential and celebrated in the world. A day trip to French Basque Country, including Biarritz, with harbor-side dining at Le Corsair, and St. Jean de Luz. 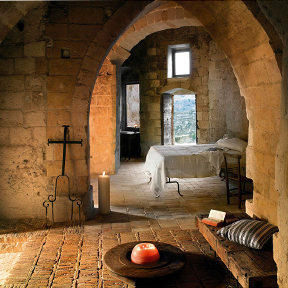 We'll be staying at Il Convento di Santa Maria di Constantinopoli, a former convent turned small luxury retreat and private home of Lady Athena MacAlpine. The property exudes romance, charm, and character, including fine antiques and a world class art and textile collection. We'll practice yoga daily with master teacher Roni Brissette, we'll relax by the lovely pool and gardens, we'll explore the surrounding towns with Linda. We'll walk the beautiful countryside and swim in warm ocean water. We'll talk, we'll laugh, and sip wine by the fire. We'll enjoy incredible gourmet meals prepared by our own private chef with the freshest local ingredients, and the wines that made the region famous. It's a unique opportunity to nourish your body, your belly and your soul. Double occupancy. This trip can host up to 8 couples in queen beds or doubles in twin bed rooms. Single supplement available at extra charge.